Hollywood actor Robert Redford is to receive a lifetime achievement award from New York’s Film Society of Lincoln Centre. The Society, which organises the annual New York Film Festival, said that Robert Redford’s “impact is hard to measure in many ways”. The honour is bestowed upon the film industry’s most high profile and influential players, with previous recipients including Martin Scorsese, Alfred Hitchcock and Charlie Chaplin, after whom the award is named. Robert Redford is almost certainly best remembered for that “bromance” with Paul Newman in the film “Butch Cassidy and the Sundance Kid”. The Record Press author has never seen better chemistry between two actors on celluloid. 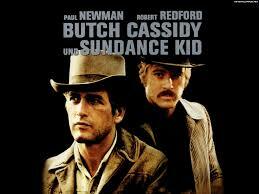 The rapport, bonhomie, banter and humour between Butch Cassidy and the Sundance Kid aka Paul Newman and Robert Redford was scintillating. It’s not something that you can manufacture. Such was the success of the 1969 film, Paul Newman and Robert Redford found themselves teaming up four years later in “The Sting”. 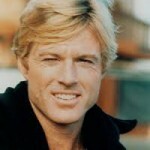 Away from his work with Paul Newman, Robert Redford has consistently proved his depth and versatility as an actor, whether in rom com films like “Barefoot in the Park” or more hard hitting, edgy films like “All the President’s Men” which depicted the Washington Post’s investigation that led to the “Watergate Scandal” and the subsequent bringing down of US President Richard Nixon. 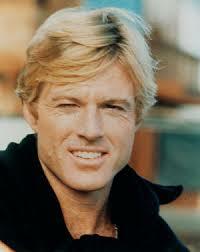 Which is your favourite Robert Redford film? Let us know in the Reply Box below. Framed film DVDs with a personalised plaque, make unique presents or original gifts for a special celebration / special occasion ie a wedding, a 21st, 30th, 40th, 50th, 60th Birthday, a Silver, Ruby or Golden Wedding Anniversary, Father’s or Mother’s Day or Valentine’s Day!! THE PERFECT PERSONALISED PRESENT!! 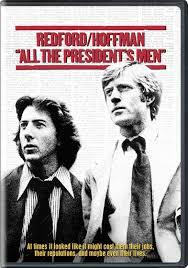 The best Redford film for me was not one he acted in but one he directed. Ordinary People was his directorial debut and is an extraordinarily moving film. It won the Best Picture Oscar in (I think) 1984 controversially beating off competition from Raging Bull. I would concur that Ordinary People was a very good film; very poignant & moving. Remember seeing it at the cinema. I think it was a bit earlier, circa 1980.